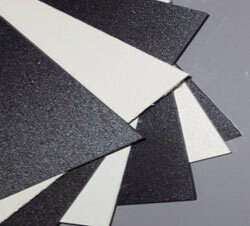 TECAPET®PET is an unreinforced, semicrystalline thermoplastic polyester derived from polyethylene terephthalate. Its excellent wear resistance, low coefficient of friction, high flexural modulus, and superior dimensional stability make it a versatile material for designing mechanical and electro-mechanical parts. Because TECAPET®PET has no centerline porosity, the possibility of fluid absorption and leakage is virtually eliminated. TECAPET™PET superior wear resistance and lack of centerline porosity give it an advantage over other materials for applications involving solvents, chemicals, and food products. TECAPET™PET is also used in water purification systems, printing equipment, textile components, food-handling equipment, and valves. TECAPET™PET - Ensinger Industries, Inc.